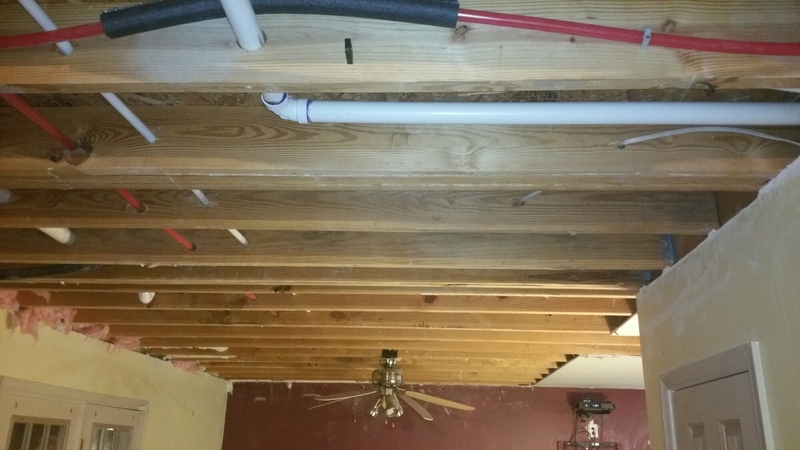 A few weeks ago, without effort, I broke an upstairs bathroom water line and flooded the house about midnight. 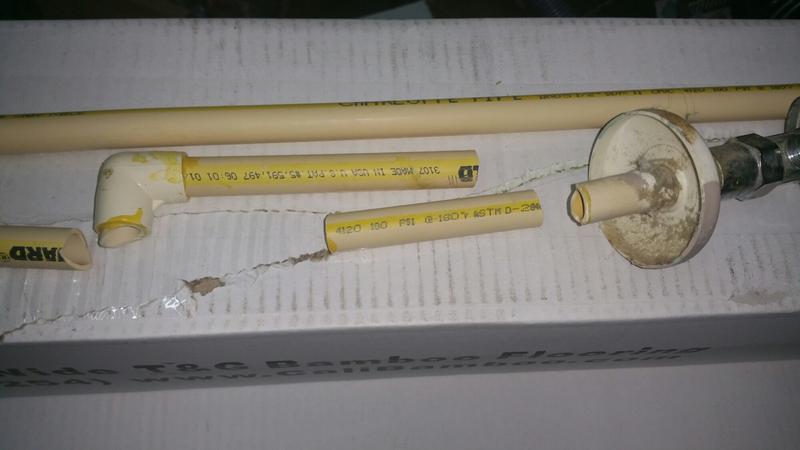 When I explained the situation to the plumber at 1:00 am and $165/hour, I am sure he thought I was crazy and hiding the fact that I had done something completely idiotic. Seriously, the pipe just snapped inside the wall while just moving stuff around inside the vanity. About an hour later, my wife and I are downstairs and she is watching me mop up the living room and pick up the sections of sheetrock that had fallen. (The largest piece falling my head is what actually woke her.) The plumber was upstairs capping the lines in the vanity and we both saw a section of pipe just fall to the floor. The plumber came downstairs holding the hot water valve in his hand. And it happened several more times. A little while later I got to watch as it happened to him. So, these pipes have me freaked out a bit. They will all be replaced. 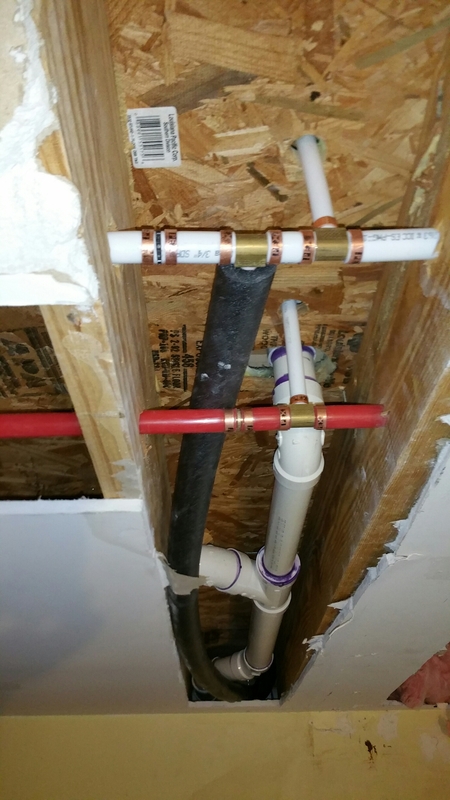 It has also been pointed out that these same pipes have been connected directly to the water heater, instead of to 18-24″ of copper piping between the CPVC and the water heater.This a code violation that never should have been passed. What’s behind the sheetrock is something we rarely see. In fact, when we buy a house, or choose a college, we do it largely on faith in the processes and adopted standards. 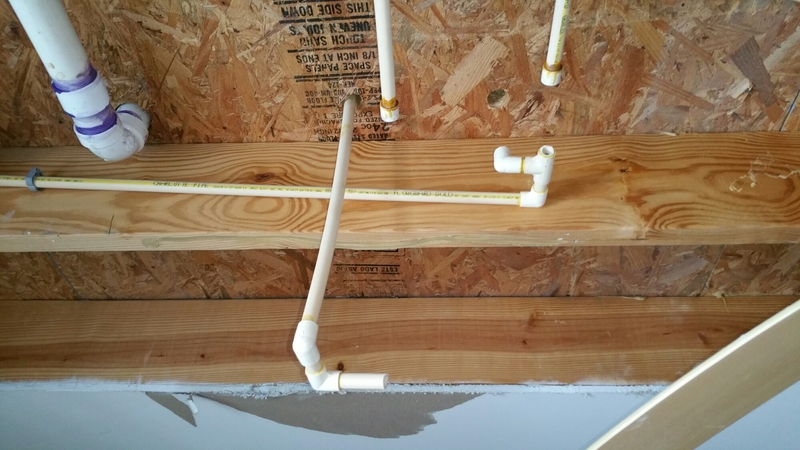 We assume that any relatively new house (and ours was built in 1999) is built to the established building codes. We also assume (hope) that quality materials were used and used correctly. Right now, that seems like an awful lot of (misplaced) faith. This below is what crap pipe looks like. 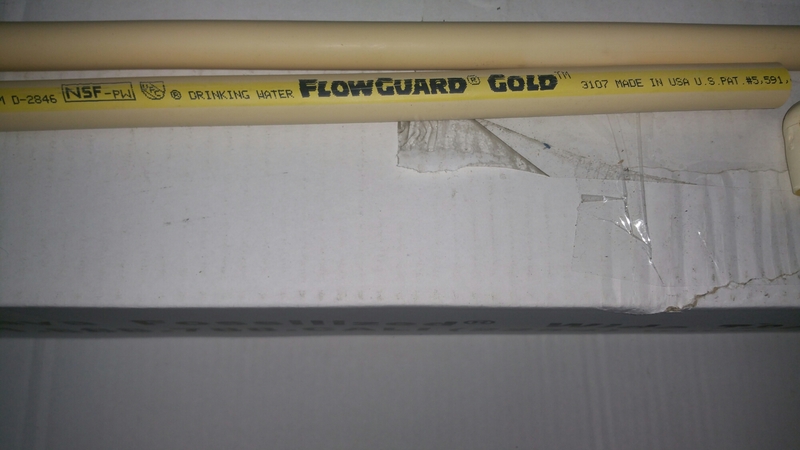 Manufactured in January 1999, Flowguard by Charlotte Pipe. Maybe it was a bad manufacturing run, maybe it was mishandled by the original plumber, maybe the glue was flawed, or maybe it had spent too much time in sunlight. Maybe if Charlotte Pipe had at least acknowledge receipt of my email, i would not show the details. But this is the beauty of the open Internet. Someone may see this and tell me of a related case. Or maybe the manufacture will find this and respond. Google Flowguard CPVC and browse the results. Opinions on Flowguard are all over the map. I saw this evening on Twitter that there is a bill, or at least a proposal, to allow states to create their own USED-recognized accrediting body. Historically that topic has come up in Virginia from time to time. It is an interesting idea, but not one I am interested in pursuing. While I could create a hell of an accreditation function with our data resources, it still would not tell us what is behind the sheetrock. I suppose we could peak under the sinks and grab the valves and give them a good shake, from time-to-time, but we have been here 10 years and nothing like this has happened before. In the end, I don’t really have a good answers beyond trusting the process and knowing that sometimes things break and require fixing. All the metrics in the world won’t show me what’s behind the wall.